Seizures in older dogs can be caused by all sorts of health conditions, and sometimes what looks like a seizure is actually something completely different. … or he collapses or loses consciousness, it’s going to be pretty awful, and scary, for everyone. But, the cause of his symptoms or ‘episode’ may not be as serious as the result. Of course, in a situation like this you NEED to get your dog to your veterinarian’s office as quickly as you can, so that you can find out what’s going on inside him. Having some background info. and an understanding of the causes, symptoms and treatment for canine seizures (specifically in old dogs) will help you make sure that Fido gets the help he needs. What Causes Seizures In Senior Dogs? First of all, let’s talk about what a true seizure looks like. That way you have a better shot at telling the difference between a seizure and other health problems which cause ‘episodes’, ‘fits’ or other odd behavior. For younger adult dogs, epilepsy is the most likely problem. Puppies and young adults of the tiny/toy breeds can have a seizure caused by a sudden drop in blood sugar (hypoglycemia). But neither of these are the most likely cause of seizures in senior dogs. In non-medical terms this means that a seizure is the sudden physical result (the symptoms you can see) of abnormal electrical activity in the brain. When you think ‘seizure’ you might also think ‘epilepsy’ (most people do). You might also think that a seizure is the same thing as a convulsion (again most people don’t know that there’s a difference). But not all seizures are caused by epilepsy. Convulsions are the result of muscles contracting and relaxing rapidly, which causes the body to shake, tremble or even contort. Although random electrical brain activity can trigger convulstions, not all seizures have this type of muscle reaction. It’s not always easy to recognize a seizure when you see one, because they can have a number of different symptoms, and can last for varying lengths of time. Seizures often have three ‘phases’ or stages. The first two could last for minutes, hours or even longer. The most acute phase, the seizure itself, could be anything from a ‘brain blank’ which lasts a second or two, to a full blown convulsion seizure which causes the dog to lose consciousness. Although at the time it seems like forever, most seizures in dogs only last for between 30 seconds and 2 minutes. It’s unusual for one to last longer than 5 minutes, but if you do find that happening you need to get veterinary help immediately as a prolonged seizure can cause severe complications, even death. If your dog has one seizure, it’s very common for him to have more. This is because whatever triggers the seizure leads to changes and electrical misfirings in the brain which take a while to settle down. Get your dog examined by your vet as soon as you possibly can after a seizure to try to prevent him from having any more, as well as find the original trigger. This could show up as a change in behavior or attitude. Perhaps fearfulness or anxiety, or unusual aggression, your dog may want to hide/sleep or he might cling to you. Your dog is likely aware that something ‘odd’ is happening. It’s also includes the ‘Aura’ phase, the early stage of the seizure itself. Some dogs cry, whine, howl, pace, or drool. This is the ‘active’ stage and it’s when your older dog is going to show the most severe seizure symptoms. In the more minor seizures Fido may seem to ‘blank out’ for a little while, or seem confused/dazed or just ‘out-of-it’. Moderate symptoms (also known as a partial seizure or ‘petit-mal’) might include twitching, jerky movements, growling or snapping. He may not seem to know where he is or who you are. In the worst cases he may go into a full convulsion and be unable to control his body’s movements. This is often called a ‘grand-mal’ seizure. The most common symptoms of a full-blown seizure in older dogs include drooling, teeth-grinding, violent muscle spasms, scrabbling or running movements of his legs, loss of bladder and bowel control. This is like the ‘recovery’ phase. And although your dog won’t be showing the symptoms of a seizure, his body and brain are still suffering some significant after-effects. He’s likely to be wobbly and his co-ordination will be ‘off’. Many dogs are weak, confused and dizzy. Some will be sleepy or lethargic. This stage can last for a few minutes, or a few hours. A lot depends on how severe the Ictal Phase was. The type of seizure symptoms your older dog has are linked to what is causing the problem in the first place, so let’s take a look at those next. Although epilepsy is the leading cause of seizures in younger dogs (those less than five years old), in senior dogs that changes. 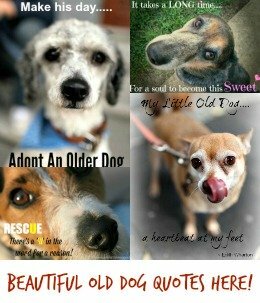 There’s a lot going on inside your older dog’s body, and the aging process is taking it’s toll. This can lead to a bunch of different health problems and conditions, some of which could cause seizures. If your senior dog has liver disease, or is in liver failure, it’s possible that it could cause him to have seizures. BUT, there are many other symptoms of liver problems which are likely to show up before a seizure does. The first one is usually a loss of appetite (but of course, this can be caused by a LOT of other things!). Abdominal swelling, digestive upsets (vomiting, diarrhea or constipation), dark orange urine and a yellow tint to the skin, gums and mucus membranes are also symptoms of liver problems. Other symptoms of brain problems being caused by the build-up of toxins in the blood include weakness, poor co-ordination, personality changes and lethargy. These are also likely to be obvious well before the risk of seizure occurs. Tumors (also known as Neoplasia) are much more common in senior dogs than they are in younger ones. Some tumors are benign, others cancerous. A brain tumor can cause seizures as well as other neurological symptoms. A cancer that starts off in another part of the body can metastasize (spread) to other parts of your dog’s body, including the brain, and cause similar problems. Because cancer affects so many different organs and systems, I can’t cover the symptoms here. But sometimes seizures can be the result of a tumor. If your older dog has kidney disease or kidney failure, toxins build up in his bloodstream and can’t be excreted the way they would normally be. This build up of toxins in the kidneys can cause seizures in senior dogs, but it’s pretty rare. Other symptoms are much more likely to show up first. Including increased thirst and urination, lethargy, weight loss and digestive upset. Seizures or a coma don’t usually happen until the disease is very advanced. An injury to the brain can cause a seizure in dogs of any age. Older dogs are more prone to falling than younger ones, and a fall down some steps resulting in a blow to the head could cause brain damage or bleeding. If your dog shows any signs of illness, stroke or seizures after falling or injuring himself (even if you didn’t see him hit his head), get him examined by a veterinarian at once. Although Diabetes itself doesn’t cause seizures, they can be an indirect result of this disease. 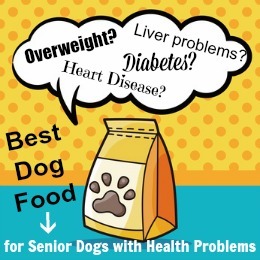 This is because if your older dog is being treated with insulin for his diabetes, he could have a seizure if he develops hypoglycemia as a result of accidentally being given too much of it. Low thyroid function, also known as Hypothyroidism can cause epilepsy and seizures in dogs. An under active thyroid causes a slowing down of metabolism. Older dogs tend to have this occur anyway, even without thyroid issues, but it can be a factor. Most dogs who develop hypothyroidism will do so somewhere between middle age and old age, when they’re somewhere between four to ten years old. It’s also more common in medium to large/extra large dogs. Hypothyroidism is most often caused by an autoimmune condition, or as a result of a genetic (hereditary) predisposition. Hypoglycemia happens when your dog’s blood sugar plummets. Every brain needs glucose in order to function properly, and if the supply of that drops seizures can happen. This condition is most often seen in small or tiny breeds (and puppies) as they have more difficulty regulating their blood sugar levels. Seizures or coma are the most severe results of hypoglycemia, other signs can usually be seen first. If your older dog is having a seizure and you are fairly sure hypoglycemia is to blame, you can try rubbing some Karo syrup (or ice cream – NOT chocolate flavor) onto his gums in an effort to raise blood sugar. Don’t try to put the syrup/ice cream/your fingers inside his mouth, that’s dangerous for you both. Obviously if your dog isn’t a small or tiny breed, and has been eating regularly and normally, then hypoglycemia isn’t a very likely culprit. 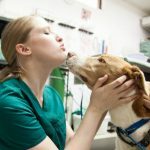 Getting close to your dog’s mouth when he’s having a seizure does carry the risk of getting bitten, so it’s a step to take only if you’re reasonably confident it will help. All medications (and also, to a lesser degree, natural remedies) can have side effects. Many are mild and can include vomiting, diarrhea and reduced appetite. Others severe reactions are less common, but definitely do happen. Seizures in dogs can be one fairly rare, but serious, side effect to certain medications. There are several things in our dog’s environment that can potentially cause seizures. You may not even know that things like black mold, or lead paint are in your home. If your dog has unexplained seizures, having your ductwork and heat/ac and any old paintwork checked out is a good idea. Blood tests can determine lead levels too. Both of these things can affect human health as well. Of course you’re going to be scared, even panicked, if your senior dog is having a seizure, but it’s important to stay calm. It won’t help him if you’re in a state as well! Many seizures in older dogs are so short that they’re over before you’ve got your act together, at least the first time around. Even though your dog may not be able to hear or see you in the normal way, he may be calmed and comforted because he is aware of your presence on some level. Talking to him in a low, gentle and soothing voice might help too. If he’s not a big dog who’s thrashing about, gently touching or stroking him might be reassuring. But if he’s in the grip of strong muscle spasms (even if he’s a small dog), don’t get too close if there’s a chance you’re going to get hurt. Just as with people who are having a seizure, it’s not a good idea to try to put your hand in his mouth to stop him ‘biting himself’ or ‘swallowing his tongue’. The muscle spasms will be VERY strong, you won’t be able to prize his jaws apart, and you run the risk of getting bitten… hard. Of course your dog wouldn’t bite you on purpose, but in the grip of a seizure he has no control over his bodily functions/movements. Even in a petit-mal or minor seizure, he might snap or bite you in his confusion, or out of fear or anxiety. If your older dog is having a seizure, you’ll probably be worried, scared and not sure what to do… but try to keep your wits about you. The more details you can remember about what’s happening the easier it will be for your veterinarian to figure out what’s going on. You probably won’t have a pen and notebook handy, but as soon as your dog is recovering and safe, jot down what you can remember about the seizure, as well as the period leading up to it, and his recovery. Unless this isn’t his first seizure, and your vet has told you otherwise, it’s important to call your veterinarian as soon as the seizure is over and your dog is recovering. IF THE SEIZURE LASTS MORE THAN 5 MINUTES YOU NEED TO CALL FOR EMERGENCY HELP regardless of whether it’s his first one or not. When younger dogs have seizures, the most likely cause is a condition called epilepsy, but in older dogs this often isn’t the case. Because seizures in older dogs are most likely being caused by some underlying health condition, your veterinarian needs to figure out what it is before treatment begins. Once that root problem is being taken care of, the seizures should be end. If the treatment is likely to take some time, your vet might be able to prescribe medication that will help control the seizures. Or at least reduce their severity, until the other treatment takes effect. ALL dogs are different, your veterinarian is the very best person to answer any questions you might have and to reassure both of you. There are a few different conditions which can cause your dog to look as though he’s having a seizure of some sort even though he isn’t. One very common senior dog health issue called Old Dog Vestibular Disease produces very sudden, dramatic symptoms which could be confused with the early stages of a seizure, or a minor one. A Transient Isechemic Stroke (TIA) is sort of a mini-stroke and happens when there is reduced blood flow to the brain. Usually because of a blood clot. It’s generally short lived but symptoms of a TIA can mimic Vestibular Disease, or a seizure. A severe ear infection can cause loss of balance and co-ordination, and sometimes affect the nerves that control facial movements. An irregular heartbeat can cause weakness, dizziness, loss of co-ordination and fainting (loss of consciousness). Even a very severe allergic reaction could cause strange behavior, loss of balance, difficulty breathing and even loss of consciousness. There are lots of other conditions and problems that can cause a dog of any age to suffer a seizure. Obviously Epilepsy is the number one, but others include…. Distemper, Rabies, Hypoglycemia, Low Calcium Levels, Poisoning, Heat Stroke, Allergic Reaction, Parasites such as Heartworm or Ticks (Lyme Disease), Brain Injury, Infection or Inflammation. Some breeds are are more likely to have seizures due to congenital problems, the shape of their skulls, or just because of a generalized predisposition to them. They include…. Beagles, Belgian Teruverens, Boxers, Chihuahuas, Cocker Spaniels, Collies, Dachshunds, Keeshonds and German Shepherds. this is wonderful and useful information. My 10 yr old Shih Tzu began having grand mal seizures in October. They all came at night when he was sleeping. The seizures came once a week. My vet did lab work and everything came back normal. He told me to observe him and if the seizures happen more often than he was going to start Bruno on medication. I started Bruno on CBD from canna pet and the seizures disappeared after approx two months. He has been seizure free for over two months until this week. He had two single seizures at the beginning of this week. Last night he had another seizure at 2:30 am and 4 more until 8 am. By 2 pm today he has had approx 9 seizures. The vet admitted him early this morning g and gave him phenobarbital by mouth but he still had two more seizures. It is 9 pm now and he is sedated and sleeping with iv benzodiazepines. I am devastated and fear that this is a brain tumor and not idiopathic epilepsy. I can’t find much on the literature about the incidence of epilepsy i older dogs. Every article i read says less likely or rare. Most articles talk about brain tumors. I am trying to hang on to some hope that this is epilepsy a d my Bruno will be back home Monday. I need consolation. I am heartbroken. So sorry to hear about Bruno. My little guy started having cluster seizures a couple of months ago and since he is 11 years old the doctor said chances are that it is a brain tumor. He’s been on Kepra ever since, he did really well on this medication for a while but is starting to have issues again so I feel your pain. It’s so hard to watch our pets suffer and not knowing when it’s the best time to say goodbye. I hope everything goes well for both of you. I feel for you since you are describing what seems to be the future of my almost 14 year old yorkie.He had his first seizure in the middle of the night exactly 7 days ago and another one at 5:00 am this morning. He just had his physical two weeks ago and bloodwork came back normal. I guess I will take him in for more exams but I’m afraid he will end up having a brain tumor since he has cataracts and those can lead to tumors. It’s a terrible thing to watch a little loved one go through. I’m heartbroken as well. You aren’t alone! Hi, just read your story and send prayers for both you and Bruno. My Lab began having seizures a month ago and I am searching for answers. God bless. How did you know it was time to put him down? What happened to your dog? What did the vet do? Thank you for the article and also the comments and information from readers. My 12 year old lab cross mabel started having seizures since Saturday afternoon, it’s now Monday, Sunday night into early morning seemed to go on for ever, I stayed up all night until I physically couldn’t stay awake, got about 2 or 3 hours sleep. Before leaving for the vet mabel had two more seizures and a mild one at the vets. The vet prescribed phenoleptil and in the event of a more serious long seizure. My 15&1/2 year old Yorkshire terrier I’m pretty sure just had his fist seizure. Very, very traumatic for the both of us. Rocky woke before me, went to his wee wee pad had a normal tinkle. I was preparing his breakfast. He started pacing and barking. He ate his entire meal. Went to his bed in the kitchen. Within 5 mins after eating he fell over, started swimming in place, drooling, and had a look of terror on his little face. Hes been such a healthly little dog. After almost 3 aggonizing minutes he wanted to be up and move around. He was very unstable. I put on hos harness and walked with him in the carpeted rooms. He didn’t want to be held. After a few minutes of walking around Rocky got his bearings back (slightly) i put him bed and now he looks a bit tired, but ok. I would hate to see this happen if im not home. For now hes resting and comfortable. Our 15 1/2 female Yorkshire terrior had a couple small seizures lately. Today was a big one. She had slept through the night and I woke up at 9am to see that she didn’t move all night long. When I picked her up her body was completely limp and she started to pee and seizure at the same time. After a couple minutes she started to act completely normal again… Not sure a vet visit would even help at this point because of her age. Good info, my 10 year old black lab just had her first seizer and as luck had it, it happened right there at the vet as I was dropping her off to have a tooth pulled, thought she had swallowed something off the floor when she started making choking motions and collapsed onto her side, they’re going to monitor her today, no tooth surgery, but still it was a scary experience indeed even happening right there at the vet with well trained staff on hand! my dog Ziggy, had her first seizure this morning. It lasted over 5 minutes, loss of bladder/bowel control and drooling with her tongue out. her eyes couldn’t focus and had severe muscle spasms and howling like she was in so much pain. . Just got back from the vet, she’s calm now, and we had a full blood panel done, ill find out tomorrow and a shot of anti inflammatory meds. she is 17, has been ultra healthy till now. Im so afraid its going to happen again. The most traumatic for her and me ever. Was reading all this at around midnight after my 10yo mastic cross fell off the couch having his first seizure. Ended up having multiples so called after hours vet. Rushed him in but they were becoming one constant seizure or one after another. Vet said the kindest thing would be to say goodbye. Buried my old mate at 2:45am in the rain. RIP Busta. Best dog ever!! My sweet girl who is a 12 yr old shih Tzu had a seizure this morning. It was her first one. She woke me up crying in pain like . I turned on the light and she was laying on her side in a drawn position. I touched her and noticed she had thrown up as well. It lasted may be 30 secs if that? Very scary for both of us. She is my baby and my shadow. She loves her mom. I am so scared now as to what might have caused it? Will be taking her to the vet for some blood work.. Hoping it’s nothing serious. I just lost one of my other girls in June. She had liver problems. They are family and my children. My 10 year old small terrier mix woke up four mornings ago and developed a severe head tilt to the right. The vet told me to bring her in. I changed my clothes and came downstairs and she looked better but I took her to the vet anyway. After the meeting with the nurse we were waiting for the doctor to come in, she started acting funny balance wise, and kept looking at me like something wasn’t right. Next thing I know she is rolling severely left then right all over the exam room. I had to yell for the nurses to get her. It was terrifying, and super sad. They got her calmed down, we have done blood tests and x-rays and nothing has shown up. Everything is pointing to a brain tumor but know one knows for sure. I have her at home and there have been no more seizures, but she is very lethargic, with short bouts of energy. I am so sad!! She is the sweetest, active dog and now is basically going through the motions of eating, going potty, and sleeping. I’m thinking of trying CBD, any thoughts? Thanks—I forgot about the ice. after she got the seizure for 1 second! My otherwise healthy sweet 14 yr old pug had her first seizure (gran mal) this am. Afterwards was very disoriented and and didn’t seem to recall her surroundings. She eventually sorted herself out and napped for 3 hours. She woke up to her 2nd seizure:(. This one was much shorter in duration and her recovery was quicker. I’m hoping she won’t wake up to a third. I will contact the vet in the am. Hi – I also have a 14 yr old Pug and she just had a seizure. Only lasted 10-15 seconds and was more disoriented than anything. I’m curious what your vet had to say? I hope your baby is ok! My 15 Year old shih-you started having seizures about 9 months ago.she arches her back, stiffens up, stretches her neck as far as she can, yelps like she’s in severe pain, falls over and loses her balance. We pick her up and hold her close to us while rubbing her. It last 2-5 minutes each time. When it stops, all she wants to do is for us to hold her and continue petting and talking lovingly to her. It may happen a couple of times a week or month. After about 15-30 minutes after the desire she seems fine, except hungry. Just 4 days ago, I had to tell my sweet only child good-bye. His name was Boo and he was also a shih-tzu (18 years old). In looking for help through this time of heartache, grief and unbearable guilt, I have not found anyone with the exact same experiences as I had with Boo until I read your comment above. He had an enlarged heart, fluid retention and a terrible cough so the vet prescribed lasix several months ago. It work wonderfully with his cough when I could get the pills in him. However, Boo was slick, and I was convinced that he held them under his tongue until I turned away. I have found a few here and there hidden in his beds. Since his stubbornness was becoming an issue, the vet had all of his meds compounded and I began to treat him with an oral syringe. He wasn’t crazy about the liquid, but adjusted within a day or two. (not to mention that it was marshmallow flavored). That in conjunction with the liquid gabapentin was such a relief at first. But, within a week he had his first episode that is identical to your description. One vet said it was not a seizure, while another said it was a seizure – without a doubt. I scheduled an EKG and bloodwork. He seemed to be improving with no more scary episodes, so I rescheduled the appointment and traveled with Boo to see family for Thanksgiving. The rescheduled appointment was replaced with the heartache of letting him go. The nightmare began on Thanksgiving day last week. One right after the other… seemed to have been 3 to 4 daily with the exact symptoms as you have described. All within two weeks of beginning the compounded medicines. I am looking for answers, closure and a way to let go of the guilt so that I can grieve/heal. Will you let me know your thoughts on the crying/yelping. It was heartbreaking to hear and I cannot stop wondering if his cries were from pain or involuntary vocalization. Thank you so much! This is what my 13 yr old Maltese was doing this evening. Twice. Each time after he went outside to urinate. I’m taking him to the vet in the morning. What did your vet say when you went? You know your pet. If they’re in uncontrollable pain, peeing or pooping themselves, it’s probably time. Please read Pets and the Afterlife, by Rob Guttro. It will help you move through this painful process. I receive nothing for recommending this..it’s just helped me tremendously! My 8yo has seizures but we never see them, we don’t know he has had one until he shows the side effects – he becomes completely blind, very drowsy,lethargic and has very squinty eyes, and it takes a good day for him to become himself again. He had an MRI but it didn’t show anything, so they diagnosed him with epilepsy and now is on meds day and night. Casey is almost 7. Monday 4:00 am he had a very baf seizure… first one, body flopping, frothing at the mouth and nonresponsive, after 4-5 min he was gasping for breath, then he got up and was wobbly. Walked around aimlessly, then had a drink, went out to pee then we noticed he couldnt hear. After an hour he was back to himself, hearing included. Again gasping for breath, then up around, wobbly and walking aimlessly, again deaf… had a drink… then out to pee.. back to normal. He is seeing the vet tuesday. My 12 year old shih tzu just had her first full blown seizure today and it was terrifying. I came home and she wasn’t answering when I called her, so I searched around the house and found her lying under the bed, covered in drool, unable to get up. We took her to the vet and they gave us valium in case she has a severe one again. I was reading about psychomotive seizures (or complex partial seizures) and it said everywhere that they were really rare, but I soon realized my dog has been exhibiting behaviours nearly identical to what was being described. She has become very clingy in the last 6-7 months and has started barking a lot when she is left alone, (she can’t climb the stairs on her own) even if I just make a quick two second trip upstairs or downstairs. Even when she’s around us, she still barks and stares off into space. One time we were all eating dinner and she got up and started to bark at the stairs, wouldn’t respond to her name and kept growling/snarling. She NEVER used to bark, and now its a very common occurence. Its something thats clearly been going for a little while and this first heavy seizure is the wake-up call. Luckily its been 12 hours and we haven’t seen another yet, but we do have some valium in case something like this happens again. She has had a history of benign tumors, and has had surgery twice to remove them. I’m unofrtunately nearly convinced that it is a brain tumor, but i’m still holding out hope for another cause. My dog (Border collie 17 y/o but in otherwise pretty good shape) has been suffering from these fits for two years now. They are terrifying for him, and slowly his mind has gotten worse and worse (unsure whether it’s ageing, the fact he survived poisoning three years ago, or the fits). I have finally decided to let him go, and this week have booked an appointment with my vet. He has lived an amazing life, and as a final respect to him I don’t want to see him suffer these evening occurrencea any more. What a wonderful mom you are! I am so very sorry and hope you are making it ok since your loss. My 10 year old Brussels had her first seizure tonight. Labs are good so it is most likely a mass. My heart is heavy. I am not ready to lose her but I certainly do not want her to suffer. My14 year old cocker spaniel had his first seizure about 2 hours ago. Now his head is tilting to the side He cant walk. If I stand him up he won’t move He just wants to lay beside me. What do I do? My 9 yr old pug/jack russel mix started having cluster seizures. It is terrifying. I Have terrible anxiety waiting for the next one to come. I am scared to death if I leave him alone it will happen and I wont be there for him and one of my curious kitties will get hurt. My husband keeps putting off taking him to the Vet mostly I believe because he is afraid to lose him not to mention the enormous expense but I cant bare to see him continue to go through this. I stay in the room with him when he has them and I just want to try and wake him but I know there is nothing I can do. I thought about getting some CBD Oil for him but I dont know if that will help. My husband wont even come in the room when he is having a seizure and I just cant take it anymore. I dont know what to do. I am always the one who has to deal with this kind of stuff, I just dont want to see him suffer, its not fair. Any advice would not only be helpful but greatly appreciated!!!! I have a 10 yr old rottweiller and started having them about 5 months ago and it only happens at night after she goes to sleep. It only lasts about a minute and then she’s very disoriented. She has released her urine and owels during this . after a few mins she is fine. I read that melatonin was good to but it’s stopped working. I tried CBD chews and they worked but I ran out 92nd need to get more. I’m worried there is a worse issue going on. Its really to watch this happen. Bless all of you that are goi,g thru this and bless your for babies too!